APA – Lagos (Nigeria) — The Nigerian troops have killed seven suspected armed bandits in Aljumana Fulani and Ketere villages in Zamfara State in northern Nigeria. 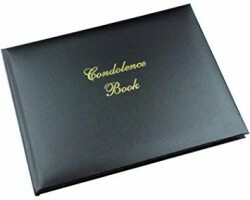 APA-Dakar (Senegal) By Abdourahmane Diallo — The Zimbabwean embassy in Dakar, Senegal Tuesday announced it is opening a book of condolence at its chancellery on Wednesday to mourn the victims of Cyclone Idai in Zimbabwe, Mozambique and Malawi. 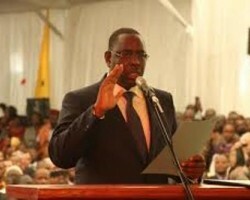 APA-Dakar (Senegal) By Abdourahmane Diallo — The US embassy in Dakar Monday announced the designation by President Donald Trump of a presidential delegation to attend the inauguration of Senegal’s President Macky Sall. APA-Dakar-(Senegal) By Oumou Khary Fall — The international organization for the defense, assistance and integration of migrants has called for the creation of a ministry for migratory affairs in Senegal. APA – Dakar (Senegal) – By Abdourahmane Diallo — Quality education in this day and age will "necessarily and inevitably" be achieved through Information and Communication Technologies (ICTs), an ICT adviser to the Senegalese Ministry of National Education, Samba Guisse said during a meeting on the same theme in Dakar on Tuesday. 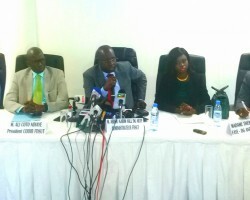 APA-Dakar (Senegal) By Edouard Toure — A regional training of evaluators from French-speaking countries on the fight against money laundering and the financing of terrorism (AML /CFT) kicks off in Dakar on 25 March, 2019, APA learned Monday from the organizers. 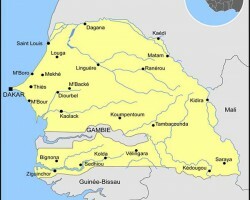 APA-Dakar (Senegal) By Massamba Sall — The business climate in Senegal deteriorated by 4.1 percentage points in monthly variation at the end of January 2019, according to data from the Department of Forecast and Economic Studies (DPEE). APA – Dakar (Senegal) By Oumar Dembele — A violent fire has destroyed Dakar’s Petersen market, gutting shops laden with goods early on Friday.